Since 2010, the Pennsylvania Interscholastic Athletic Association (PIAA) has been debating the question as to whether private, parochial and charter schools (non-boundary schools) have a competitive advantage over public schools (boundary schools). Since fair competition is something we all want, I believe our public school student-athletes should have the same opportunities for statewide exposure, college recruitment and scholarships as those enrolled in parochial, private and charter schools. Also, when it comes to contact sports, parents should know their children are safe rather than worrying about the non-boundary schools that are fielding teams with college-level size and athleticism. That is why I’m introducing legislation to give the PIAA the authority to establish separate playoff systems. My goal is not to harm the Catholic Church, private schools, religious-affiliated schools or charter schools; it’s to level the playing field. On July 24, 2018, more than 150 public school administrators met in State College to discuss both reforms and withdrawing from the PIAA. Why, you ask? Because boundary schools are of the opinion that non-boundary schools have a major advantage because they can offer student-athletes academic scholarships. While it may not be recruiting per se, oftentimes these students happen to be five-star athletes in major sports such as football or basketball. Ironically, some happen to be 6-foot-8, 250-pound centers with multiple offers from high-profile Division I basketball programs. While non-boundary school athletes are getting full scholarships to top-tier colleges due to the exposure and success of their school’s athletic programs, boundary school athletes are left with few opportunities. On Dec. 5, 2018, the PIAA Board of Directors stated that separation of playoffs was contrary to the legislative intent of Act 219 of 1972, the law which opened up membership to the PIAA to nonpublic schools. To assume that the legislative intent of a nearly 47-year-old law applies to today’s issue is both shortsighted and irresponsible. A lot has changed since the adoption of Act 219 in 1972. For example, in 1972, Catholic schools only accepted students from the parishes that the schools represented. It wasn’t until Catholic churches and their associated schools started to close in the late 1990s and early 2000s that the once parish-restricted schools were no longer limited to enrolling students from the geographic locations that were home to their parishes. In addition, charter schools did not exist until the passage of the Charter School Law of 1997. The Philadelphia Public School League and Philadelphia Catholic School League did not participate in the PIAA in 1972. In fact, the School District of Philadelphia did not request membership into the PIAA until 2003. Moreover, the Philadelphia Catholic League did not join until 2008. To be fair, the sponsors of Act 219 could not have anticipated this many changes to the education landscape over 36 years, and the PIAA should not use an antiquated law to justify inaction. Members of the PA Athletic Oversight Committee and the PIAA Board of Directors have stated that the PIAA does not possess the authority to establish separate playoffs without legislative action. My proposal simply gives the PIAA that power, without restrictions, should the General Assembly choose to act. State Rep. Scott Conklin, D-Rush Township, represents the 77th Legislative District. 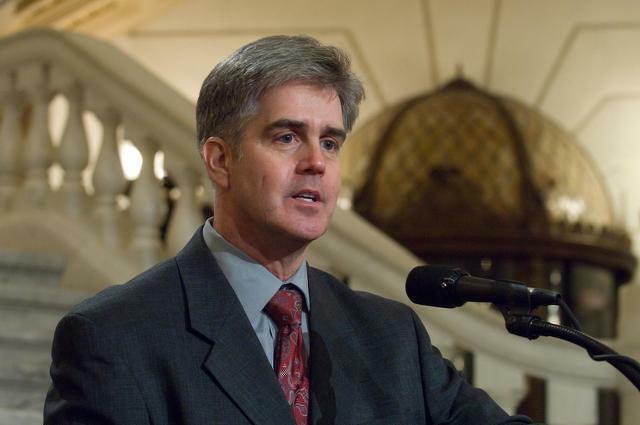 Rep. Scott Conklin, D-Rush Township, represents the 77th District in the Pennsylvania House of Representatives. The 77th District includes State College, Philipsburg, Rush Township, Huston Township and parts of Ferguson and Patton townships. 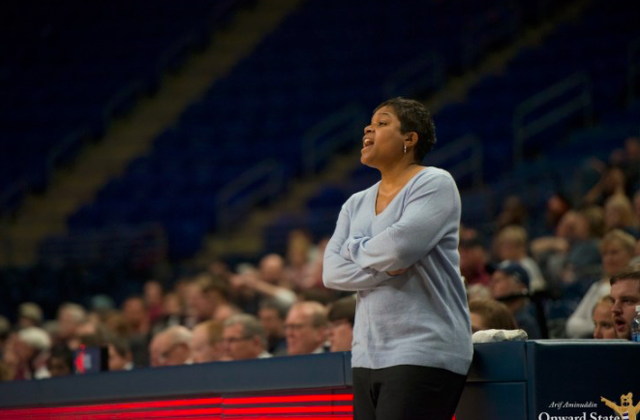 "We had lost our competitiveness"
After nearly 20 minutes of speaking with three reporters deep in the halls of the Bryce Jordan Center, Penn State Director of Athletics Sandy Barbour uttered five words that summed up the Friday news that the women's basketball program was moving on from coach Coquese Washington.